Pianist and composer Satoko Fujii turns 60 this year — but rather than slowing down or looking back at a full and accomplished career, the artist only seems to gain momentum. In 2018, Fujii will release an astonishing twelve albums, one each month, all in honor of her milestone birthday. 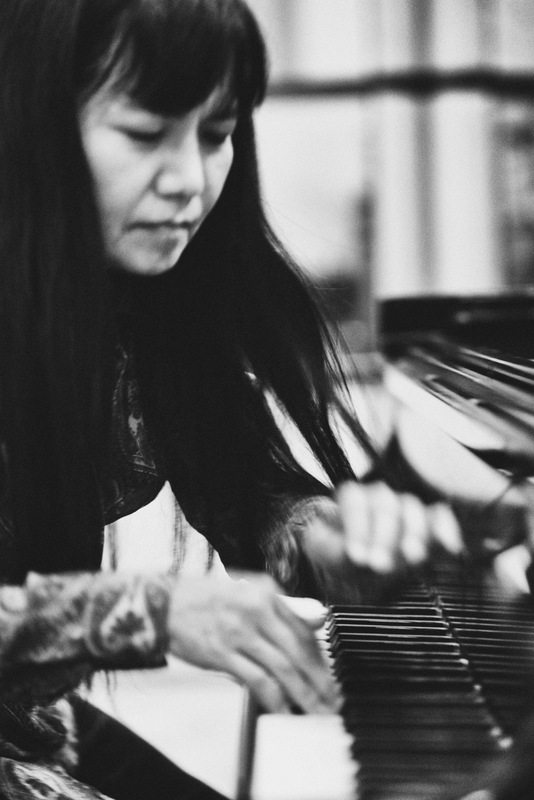 Known for her fiercely creative free jazz improvisations, Fujji’s work has been described by critics as “stupendous, almost terrifying,” and “emotionally varied, richly melodic.” Her compositions and performances defy easy categorization, melding elements of classic jazz with dissonance, ambient rock, romantic classical music and Japanese folk songs. Fujii’s album-of-the-month project began in January with the flowing solo piano release Satoko Fujii: Solo. February’s CD is Atody Man by KAZE, a quartet that features Fujii on piano, as well as two trumpeters and a drummer. Her album for March is the buoyant Ninety-Nine Years, which features the ten-piece big band Orchestra Berlin. And her April project is Bright Force, an uplifting and powerful album with collaborative international quartet Kira Kira. Born in Japan, Fujii began playing piano at age four and studied classical music for sixteen years, before discovering an intense affinity for improvisation. She won a scholarship to Berklee College of Music in 1985 and later studied at the New England Conservatory, learning from jazz masters at both institutions and launching her career as a performer and composer. To follow Fujii’s year-long journey, visit satokofujii.com. The artist’s albums can be purchased via Libra Music, iTunes, and SquidCo. Satoko Fujii performs her avant-garde composition “Spring Storm” at the Sanctuary for Independent Media in Troy, New York. This video features her quartet Tobira, which includes trumpeter Natsuki Tamura, bassist Todd Nicholson, and drummer Takashi Itani.